This Valentine’s Day, I want to celebrate a romantic hero so great that he could only ever exist in the movies. A hero who would stand outside your house blasting Peter Gabriel, not giving a crap about embarrassing himself in front of the neighbors. A hero who would not comment on the fact that you are WAY overdressed for a keg party, then finish the night as your dependable designated driver. A hero who would give you his heart, and get only a pen in return. Who is this guy? He’s Lloyd Dobler. And goddamn it, he doesn’t want to sell, buy, or process anything. Written and directed by Cameron Crowe, Say Anything captures a type of male angst rarely seen in modern romantic comedies. Lloyd Dobler is an average high school senior who has fallen for Diane Court (WHOA), a brilliant braniac trapped in the body of a game-show hostess. As Lloyd, John Cusack is sweet, kind, funny, and respectful—if we’re handing out lessons on how to be a decent dude in the #metoo era, there needs to be a master’s level course on Doblerisms. Does Diane deserve him? Heck no. But watching this guy work up the nerve to finally call her feels like some sort of weird vindication for every time a woman has sat by the phone, waiting for it to ring. Maybe, just maybe, the object of our affection just doesn’t have the guts to finish dialing that number. That’s my story, and I’m sticking to it. Lurking over their love story is Diane’s eventual move to England on an academic fellowship. Lloyd, being a well-traveled army brat, offers to give her tips—English tips (whatever that means). I’m assuming these tips would include the knowledge that Pimm’s No. 1 is a fantastic British export and should be drunk whenever possible. Plus, for a Valentine’s Day cocktail, you can’t get much more festive than a strawberry carved into a heart shape. While watching Say Anything, I recommend drinking a Pimm’s Royale. 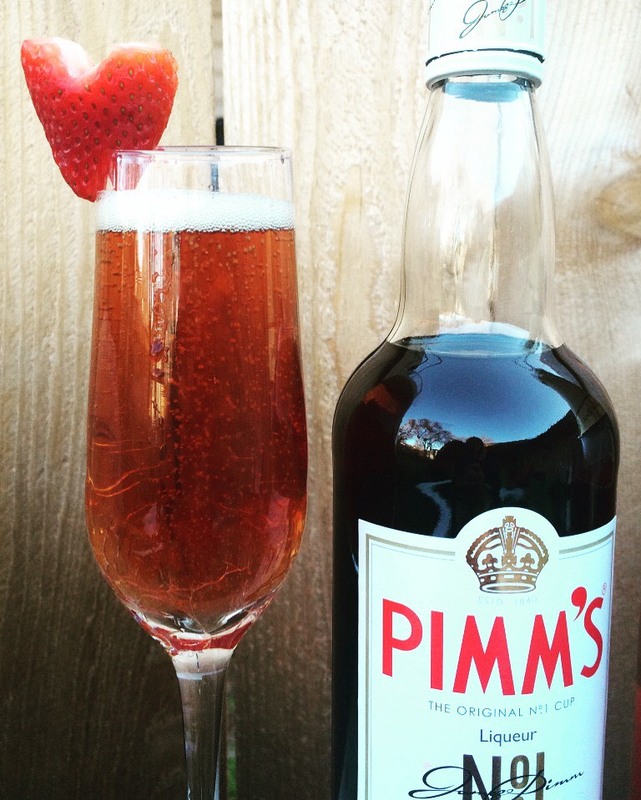 Pour Pimms into a champagne flute, then top with champagne. Garnish with a strawberry, cut into a heart shape. If this movie teaches us anything, it’s that sometimes, all it takes to get a date for Valentine’s Day is the simple courage to pick up a phone and call the girl (or guy) of your dreams. Lloyd Dobler gives us all hope. Cheers! For more movie and cocktail meet-cutes, head over to cinemasips.com.